paritrāṇāya—for the deliverance; sādhūnām—of the devotees; vināśāya—for the annihilation; ca—also; duṣkṛtām—of the miscreants; dharma—principles of religion; saṁsthāpana-arthāya—to reestablish; sambhavāmi—I do appear; yuge—millennium; yuge—after millennium. According to Bhagavad-gītā, a sādhu (holyman) is a man in Kṛṣṇa consciousness. A person may appear to be irreligious, but if he has the qualifications of Kṛṣṇa consciousness wholly and fully, he is to be understood to be a sādhu. And duṣkṛtam applies to one who doesn’t care for Kṛṣṇa consciousness. Such miscreants, or duṣkṛtam, are described as foolish and the lowest of mankind, even though they may be decorated with mundane education; whereas another person, who is one hundred percent engaged in Kṛṣṇa consciousness, is accepted as sādhu, even though such a person may neither be learned nor well cultured. As far as the atheistic are concerned, it is not necessary for the Supreme Lord to appear as He is to destroy them, as He did with the demons Rāvaṇa and Kaṁsa. The Lord has many agents who are quite competent to vanquish demons. But the Lord especially descends to appease His unalloyed devotees, who are always harassed by the demonic. The demon harasses the devotee, even though the latter may happen to be his kin. Although Prahlāda Mahārāja was the son of Hiraṇyakaśipu, he was nonetheless persecuted by his father; although Devakī, the mother of Kṛṣṇa, was the sister of Kaṁsa, she and her husband Vasudeva were persecuted only because Kṛṣṇa was to be born of them. So Lord Kṛṣṇa appeared primarily to deliver Devakī, rather than kill Kaṁsa, but both were performed simultaneously. Therefore it is said here that to deliver the devotee and vanquish the demon miscreants, the Lord appears in different incarnations. 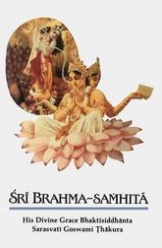 There are various kinds of avatāras, such as puruṣāvatāras, guṇāvatāras, līlāvatāras, śaktyāveśa avatāras, manvantara-avatāras and yugāvatāras—all appearing on schedule all over the universe. But Lord Kṛṣṇa is the primeval Lord, the fountainhead of all avatāras. Lord Śrī Kṛṣṇa descends for the specific purposes of mitigating the anxieties of the pure devotees, who are very anxious to see Him in His original Vṛndāvana pastimes. Therefore, the prime purpose of the Kṛṣṇa avatāra is to satisfy His unalloyed devotees. The Lord says that He incarnates Himself in every millennium. This indicates that He incarnates also in the age of Kali. As stated in the Śrīmad-Bhāgavatam, the incarnation in the age of Kali is Lord Caitanya Mahaprabhu, who spread the worship of Kṛṣṇa by the saṅkīrtana movement (congregational chanting of the holy names), and spread Kṛṣṇa consciousness throughout India. He predicted that this culture of saṅkīrtana would be broadcast all over the world, from town to town and village to village. Lord Caitanya as the incarnation of Kṛṣṇa, the Personality of Godhead, is described secretly but not directly in the confidential parts of the revealed scriptures, such as the Upaniṣads, Mahābhārata, Bhāgavatam, etc. The devotees of Lord Kṛṣṇa are much attracted by the saṅkīrtana movement of Lord Caitanya. This avatāra of the Lord does not kill the miscreants, but delivers them by the causeless mercy of the Lord.